This International Women’s Day, I’m celebrating the work of Jean Jenkins (1922-1990), a prolific ethnomusicologist and collector of musical instruments. She spent much of her professional life working at the Horniman Museum in London, gathering artefacts to display there from her many journeys around the world. 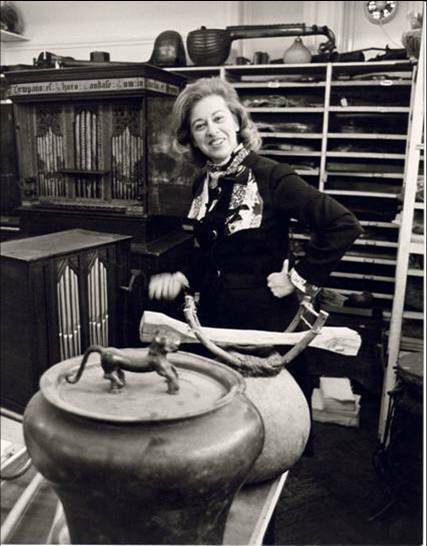 Jean Jenkins with items from her collection. As well as curating displays and collecting objects, Jenkins ran concerts, festivals and community events to share her knowledge of world music cultures. She organised the exhibition Man and Music at the National Museum of Scotland (then the Royal Scottish Museum) in 1983, and curated a series of accompanying concerts and events as part of the Edinburgh International Festival. Jenkins was working a time when interactive and multimedia displays were not the norm; instead, she used these public events to bring the displays to life. Poster for Jenkins’ Man and Music exhibition at the National Museum of Scotland. I first volunteered at National Museums Scotland in 2016, working in the Department for World Cultures to contribute to an ongoing project to catalogue the Jean Jenkins archive. 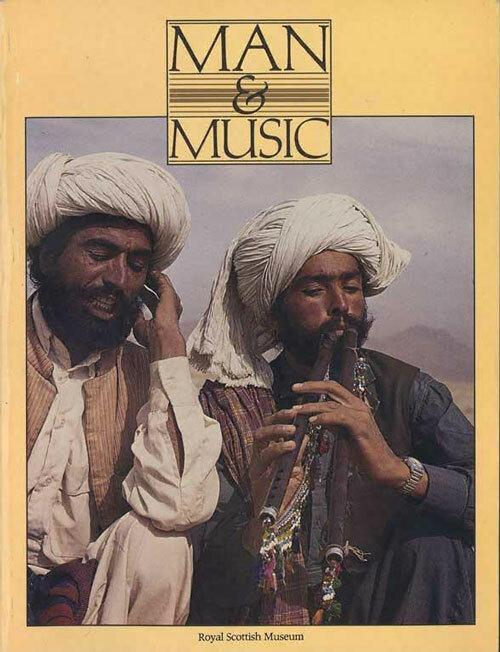 Inspired by the energy and drive which are evident in almost every item, I have been researching Jenkins’s contribution to the sphere of public ethnomusicology: that is, research into world music which is shared in public, rather than solely in academic settings. 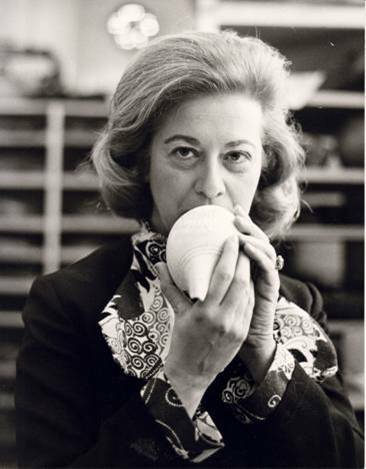 Jean Jenkins with a conch from her collection. Jenkins worked at a time when most ethnomusicologists at universities were male. Their dissemination of ethnomusicology would have been largely confined to academic texts and university lectures. I would argue that Jenkins’s contributions to ethnomusicology were as valuable, in the form of museum displays and musical events, because they were accessible to the public. I presented a paper about Jenkins’s public ethnomusicology at the Women’s Work in Music conference at Bangor University in September 2017. I will present again about Jenkins at the British Forum for Ethnomusicology’s annual conference in April 2018. I have written these papers because I think Jenkins deserves to have more attention for her abundant, but largely unnoticed, contribution to ethnomusicology. You can find out more about Jean Jenkins here.